Los Angeles Times columnist book about science wrote a fantastic book about a story of science changing the world forever. This well written and meticulously researched book about science is definitely a must read. The birth of Big Science can be traced to Berkeley, California, nearly nine decades ago, when a resourceful young scientist with a talent for physics and an even greater talent for promotion pondered his new invention and declared, â€œIâ€™m going to be famous!â€? Ernest Orlando Lawrenceâ€™s cyclotron would revolutionize nuclear physics, but that was only the beginning of its impact. It would change our understanding of the basic building blocks of nature. It would help win World War II. Its influence would be felt in academia and international politics. It was the beginning of Big Science. Michael Hiltzik is a Pulitzer Prizeâ€“winning journalist and author who has covered business, technology, and public policy for the Los Angeles Times for three decades. He currently serves as the Timesâ€™s business columnist and hosts its business blog, The Economy Hub. His books include The New Deal, Colossus, Dealers of Lightning, and The Plot Against Social Security. Mr. Hiltzik received the 1999 Pulitzer Prize for articles exposing corruption in the entertainment industry. He lives in Southern California with his wife and two children. 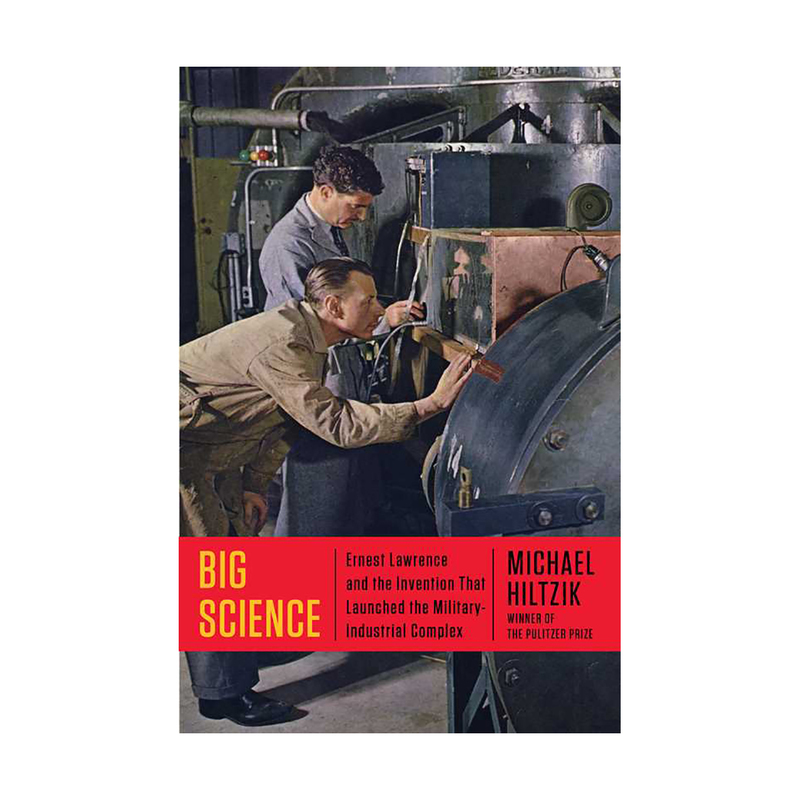 From a Pulitzer Prizeâ€“winning journalist and Los Angeles Times contributor, the untold story of how science went â€œbig,â€? built the bombs that helped win World War II, and became dependent on government and industryâ€”and the forgotten genius who started it all, Ernest Lawrence. This is the incredible story of how one invention changed the world and of the man principally responsible for it all. Michael Hiltzik tells the riveting full story here for the first time. Expedited shipping available. Please select option, below, before adding to cart. Standard order processing times still apply. Not valid on international orders.